I recently bit the bullet and decided to invest in a cast iron skillet. The lofty price tag for a mere frying pan has always put me off, but I saw this recipe on Laura in the Kitchen and could not wait a second further. I did some research and marched down to my local kitchen store and bought a beautiful 10 ¼ inch Lodge preseasoned skillet. This recipe alone is worth it and I’m actively scouring my favourite cookbooks and websites to see what else I can create with the cast-iron. I will be remaking my pan-oven steak in the next few months with the skillet (game-changer), and a dutch baby pancake is also in the works. I can’t wait! When I took a bite of this buffalo chicken sandwich, my life was forever changed. I saw stars and I’m pretty sure I let out an audible moan. And all of a sudden it made sense. 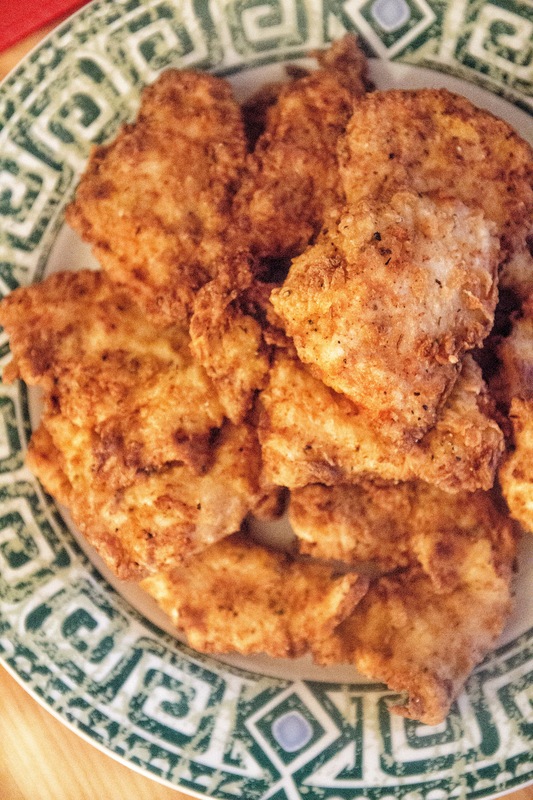 This is what fried chicken is supposed to taste like. 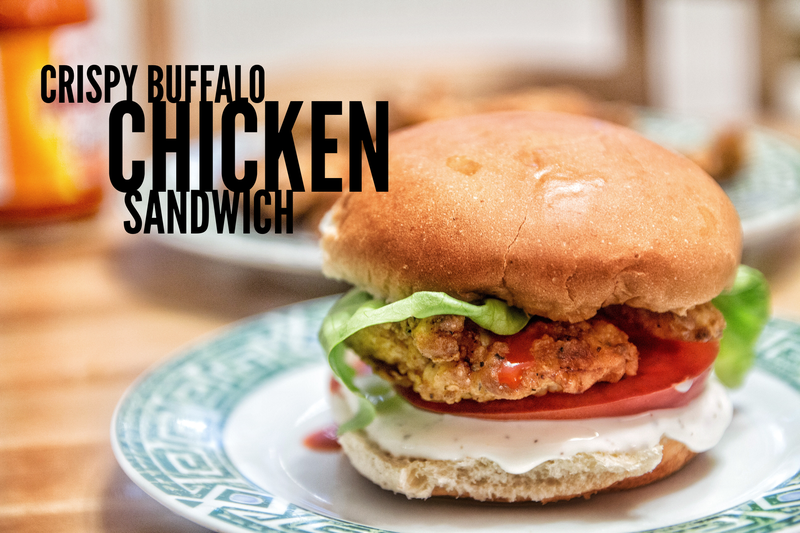 I am not lying when I say this beats KFC, Popeye’s and every other variation of a fried, crispy, buffalo chicken sandwich you have made in the past. Buffalo sauce has a kick but it is not too much and does not linger in your mouth like hot sauce does. I like using the Frank’s Red Hot variety, but if you can’t find buffalo sauce, you can make your own version at home by using 1 part butter to 3 parts hot sauce. As always, if you make this, I would love to hear how it turned out for you. Bon Appetit! 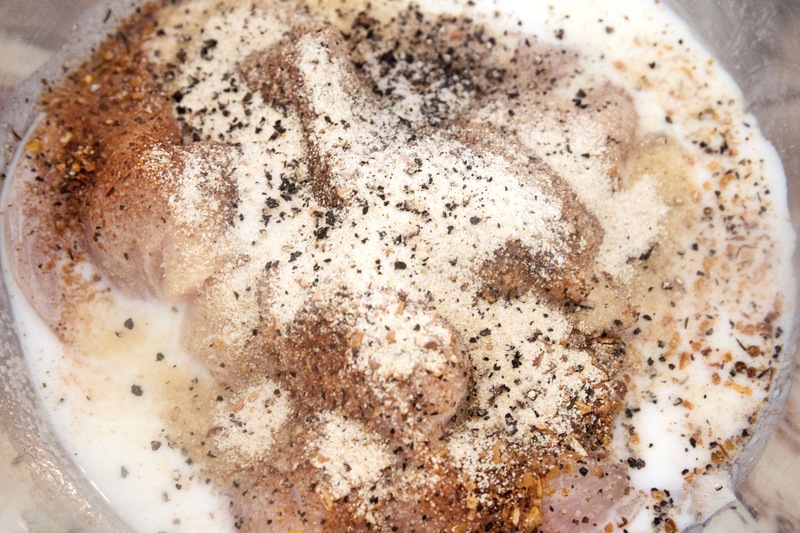 In a bowl, mix the chicken with buttermilk, garlic powder, 1 tbsp chicken seasoning, 1 tsp salt and 1 tsp pepper. Cover with plastic wrap and let marinate in fridge for a minimum of 3 hours. 2. Add ½ inch of vegetable oil to a cast iron skillet (do not use a regular skillet) and heat it over medium-high heat for 1-2 minutes. 3. On a plate, mix the flour, remaining salt pepper and chicken seasoning. 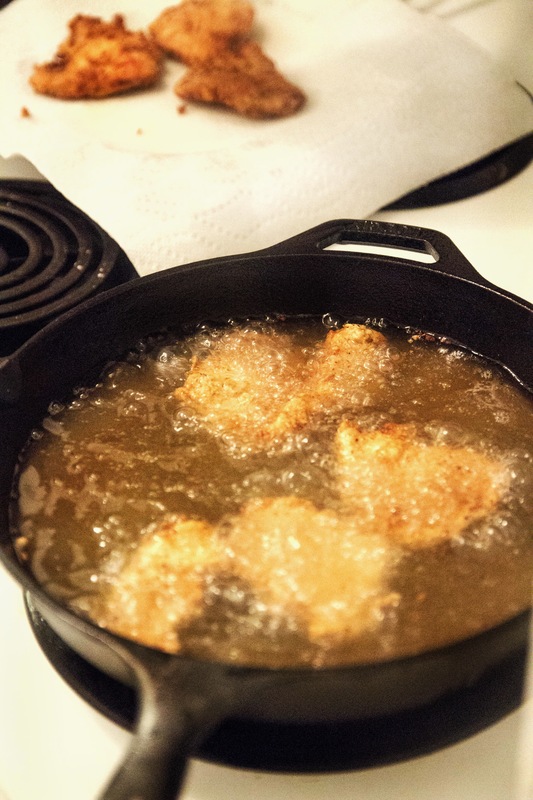 Dredge each piece of chicken in the flour mixture and carefully, using tongs, fry in the hot oil for 2-3 minutes on each side or until deeply golden brown and crispy. 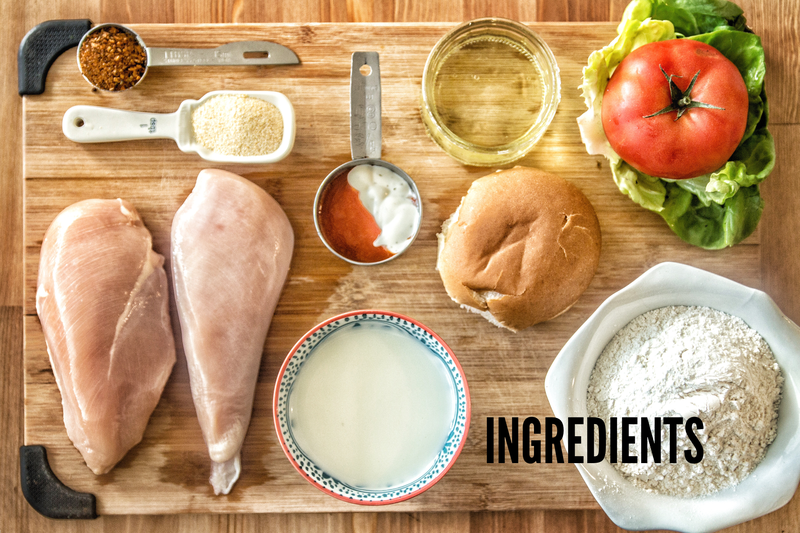 Remove chicken when cooked, and place on a paper towel lined plate.Complete with all chicken pieces. 4. 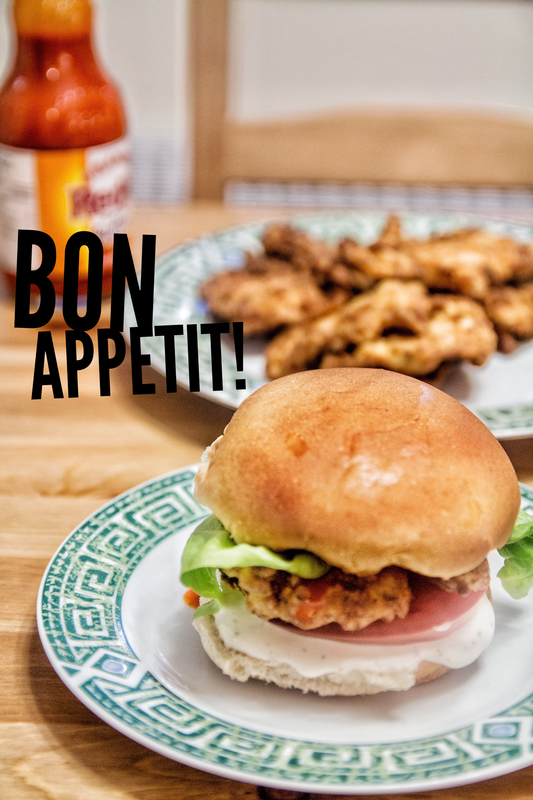 To assemble, smear ranch on the bottom of the bun, followed by a tomato slice, 2-3 pieces of chicken, a dollop (or two) of buffalo sauce, lettuce, and the top bun. Enjoy!